Allwhois - Locates the appropriate whois database server for a particular domain name, queries that database for information about that domain name, and returns all available data. 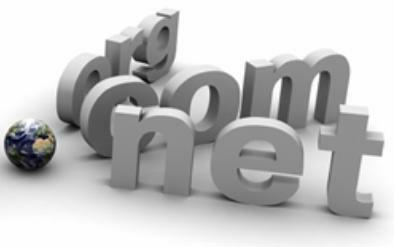 Apply - Domain name registration. ARIN: WHOIS Database Search - Provides a mechanism for finding contact and registration information for resources registered with ARIN. ARIN's database contains IP addresses, autonomous system [AS] numbers, organizations or customers that are associated with these resources, and related Points of Contact [POC]. BetterWhois - Provides fast and accurate domain reports. Lookup the domain in the shared domain registry, locate which registrar has reserved the name, visit and query that registrar's database for the correct information. CircleID - A connected intellectual medium for the awareness and improvement of policies, regulations, and technological developments that concern the Domain Name System, Internet Protocol Addresses, Domain Names and all other Internet naming and addressing issues essential to the fundamental functionality of the Internet. DNS Records - Just like a phone book with its various records (Business Listings, Residential, & Government) DNS uses several different records as well. This page goes over each DNS record. You will mostly use the 'A' and 'MX' records. 'A' records directly resolve a host to an IP address. 'MX' records provide Mail Exchanger (e-mail) resolution for which server to use for a specific domain. CNAME records stand for Canonical Name, or alias, where the hostname listed resolves to another hostname. PTR are pointer records that provide reverse DNS resolution, or IP address to Fully Qualified Domain Name. Finally, TXT records are rarely used outside of listing an entry for SPF (Send Policy Framework). Domain Name System (Wikipedia) - DNS is a hierarchical naming system for computers, services, or any resource participating in the Internet. It associates various information with domain names assigned to such participants. Most importantly, it translates humanly meaningful domain names to the numerical (binary) identifiers associated with networking equipment for the purpose of locating and addressing these devices world-wide. DynDNS - Provides DNS services on every level from home user to enterprise. easyDNS - Specializes in providing reliable DNS service for all .com, .net, .org, and country-level Internet domains and putting you in the driver's seat with powerful yet easy-to-use domain management tools. Escrow.com: Buying and Selling Domain Names Online - Escrow.com is a government licensed and audited 3rd party that safely holds a Buyer's payment in a trust account until the entire transaction is complete. That way, Buyers can be confident the domain will be registered in their name and Sellers can be sure they'll be paid. Gandi.net - One of the first domain name registrars approved by ICANN for .COM, .NET,.ORG, .BIZ, .INFO, .NAME, .BE, .FR, .EU domains in France. It now offers over 100 domain extensions and continues to add to this list on a regular basis. Gandi considers itself to be an ethical domain name registrar in an industry that has some 'grey' practices. It values the customers rights and privacy above all else and seeks to defend these wherever possible. Hover - Domain name and email management. Internet Assigned Numbers Authority (IANA) - Domain name services, protocol number assignment services, IDN language tables, IP address services, resources. InterNIC - Information regarding Internet domain name registration services, including: InterNIC FAQ, Accredited Registrar Directory, Registrar Problem Report, and Registry Whois. iwantmyname -Domain registration and management service. Lets you search and register domain names from the convenience of your phone, providing you with access to 90+ international domain name extensions. Managing DNS Records - Information from Microsoft TechNet. Namedroppers - Perform searches for domain names using multiple keywords. Find every registered domain name in the .com, .net, .org, and .edu zones that contains all of the search terms you enter, anywhere within the domain name itself. Network Solutions - Domain name registrar. Network Solutions Enhanced Whois Directory - Comprehensive search across multiple Whois databases. Includes all domains, extensions regardless of where they are registered. Smart Whois Report shows the status of the domain. If a live site exists presents a thumbnail of the home page along with the website title, traffic ranking, meta descriptions and keywords, and more. Public Interest Registry (PIR) - A not-for-profit corporation created to manage the .org registry. Register - Register.com provides domain name registration services. Uniform Domain Name Dispute Resolution Policy - Search tool for domain name dispute decisions resolved under the ICANN UDRP. Such decisions are posted on the Web but access to them has been inefficient. Tools provided here help complainants, respondents, their counsel, panelists, providers, and members of the public who are concerned with the rights of domain name holders and trademark owners. What is a Name Server? - Explains what a name server is, and how name servers are used to direct the traffic of your website to a specific web server at a web host. Where is my domain name routing? - A tool that performs the necessary lookups to check where a domain name is routing, then graphically displays this information for easy review. "WhoIs" from Network Solutions - Search for a Web address, NIC handle, host IP, or lastname, firstname. Whois Source - Domain name search lookup that allows a wildcard search of all current/deleted/expired whois domains. WHOis - Domain name search lookup. Free web and SEO tools. Whois Domain Tools - Research domain ownership with Whois Lookup. Get ownership info, IP address management, rank, traffic, SEO, & more. Find available domains and domains for sale. WhoisFinder - A fast and free Whois Lookup service. WhoIsHostingThis? - Discover which web hosting any web site uses, plus hosting reviews and comparisons. ZoneEdit - A provider of DNS services online. This webpage last updated on Wednesday, January 6, 2016 3:24 PM.